Is a private university founded in 1996 with a clear mission: to provide students with the knowledge and skills to serve society, to contribute to the further expansion of human knowledge through research as an integral part of the development of man and mankind and to participate in the evangelical mission of the Catholic Church in the areas of education and culture. Following the Anglo-Saxon model, sports is part of UCAM’s DNA, being hailed the Champion of University Competitions for the third consecutive year, with 112 medals (74 gold). World Champions such as Melanie Costa. The 21 federated teams sponsored and managed by UCAM include UCAM Murcia CB, a professional basketball team competing in the ACB Liga Endesa. Our sports facilities are led by the UCAM Sports Center a high tech gym accessible to both university students and local communities. 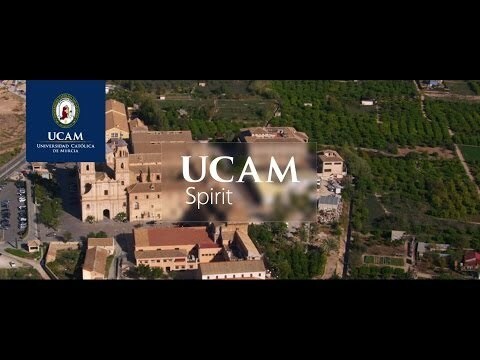 UCAM contributes its best not only with regards to academics, but it also succeeds in creating an atmosphere in which one can feel at home and as part of a big family. For more information, visit http://international.ucam.edu/student-life/accommodation. For the Erasmus programme, visit http://international.ucam.edu/internationalrelations/erasmus. For Student Exchange opportunities, refer to http://international.ucam.edu/internationalrelations/international-partner for the list of UCAM's partner universities worldwide.